Celebrate the holiday season in South Jersey at a historical home, mansion, church, or museum! Holiday House Tours are taking place throughout the month of December and we have the perfect lineup for you that includes 18th, 19th and 20th century homes and buildings decorated for the season. Find inspirations for your holiday celebrations and enjoy an afternoon of history, culture, and fun! The Barclay Farmstead will be decorated, portraying the theme “Barclay Collections Unveiled,” and there will be something for everyone to enjoy! There will be a wine tasting available on Friday from 6:30 PM to 8:30 PM and light refreshments will be provided. A suggested donation of $5 at the door helps support the on-going restoration and award-winning programs. 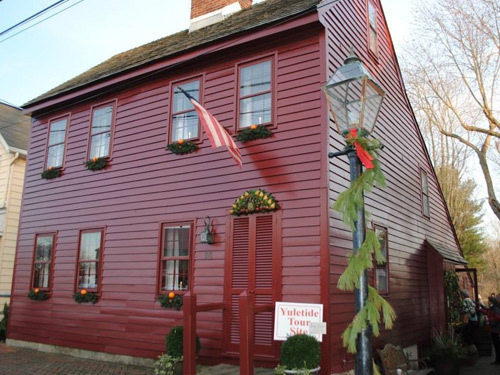 Visit historic Salem City as they host a full day of holiday festivities starting with the Magic of Christmas Parade, followed by the Annual Yuletide House Tour! Stroll through local historic homes, churches, and points of interest. Guests can shop for antiques, collectibles, and more in the town’s collection of stores. Later in the evening, enjoy the town tree lighting ceremony. In a district that contains over 2,000 individual properties (NJ’s largest), Bridgeton’s Holiday House Tour offers a rare inside look at some of the best of the best. Visitors can tour over 15 holiday decorated historic homes, churches, shops, and public buildings conveniently located along a half-mile stretch of East and West Commerce Streets. All of the homes and buildings are on the National Register of Historic Places – some are individually listed and nationally marked. Smithville Mansion will reopen on December 2nd for the Victorian Holiday Celebration at Smithville Park and Daily Christmas Tours of the mansion will begin on December 3rd and continue through December 30th. A donation of $8 per adults and $7 for seniors and students is requested. During the holiday season, they also offer special evening candlelight tours (click here to see dates) and reservations are required. Get into the holiday spirit with the City of Burlington’s Holiday House Tour! Visit private homes, churches, and historic buildings showcasing both interior and exterior decorating ideas.The event also features Santa, entertainment, merchant discounts, and much more! Afterwards, do some shopping in Burlington’s many boutiques or grab some grub from a local restaurant. Take a candlelit tour of the Whitall House at Red Bank Battlefield Park! 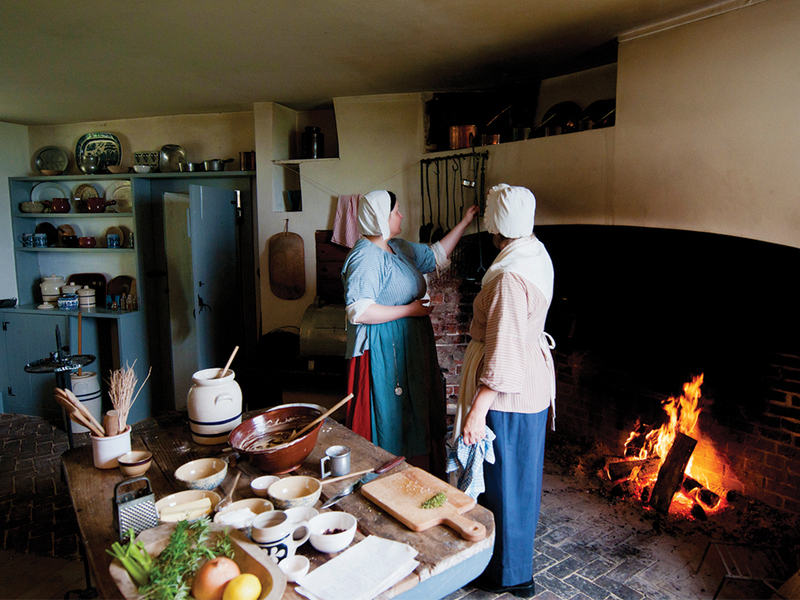 Guests can enjoy the sights and sounds of the colonial period during the holiday season. For more information, call (856) 853-5120. Plan a visit to historic Woodstown for the 42nd Annual Woodstown Candlelight Tour. This charming village predates the Revolutionary War and is home to a number of Victorian residences and other structures. Get into the holiday spirit by spending the evening touring seasonally decorated homes, businesses, and churches! Visitors are also encouraged to shop at local merchants or at the annual craft fair located in Borough Hall. There will be carolers, homemade cookies, wassail, and a variety of other musical entertainments. Proceeds benefit the Pilesgrove-Woodstown Historical Society. You have driven past the beautiful historic houses of Mullica Hill many times and now you can see them from the inside during the 45th Annual Christmas House Tour! Local residents go all out to decorate their houses for the holidays and open their doors for your enjoyment, Tickets can be purchased prior to the event or the day of the tour. For more information, please contact Hazel at (856) 223-5440. Celebrate the holiday season in Greenwich on the Cohansey River with an afternoon of festive activities that are sure to fill your heart with Christmas warmth. As you begin your wintry afternoon at the authentically decorated 1730 Gibbon House, the wafting aroma of complete hearthside Christmas fare and gingerbread cookies will tickle your senses. 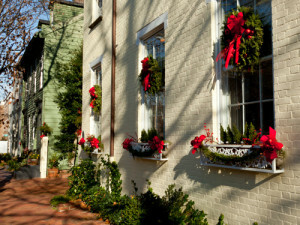 Tour through the town’s well-manicured historic homes, buildings, and churches that will be decked in their Christmas finery. All the museums will be open during the afternoon as well. As you stroll along your self-guided tour, children will be able to visit Santa in his workshop and drop off their “wish list” letters. You will be able to warm your belly with delicious lunch, snacks, and baked goods available at several locations throughout the tour. Don’t miss Haddonfield’s Annual Holiday House Tour presented by Interfaith Caregivers! Each of the six Haddonfield homes and Christ the King Church will be festively decorated for the holidays for all to see. Guests will see a unique mix of Colonial, Victorian, Four-Square, and bungalow homes. Tickets are $20 in advance and $25 on the day of the event.